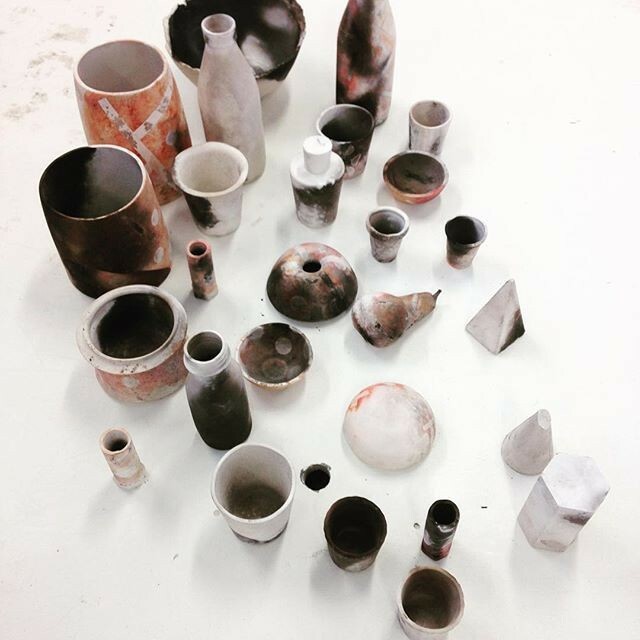 Create your own smoke fired ceramics on this new course. You will be introduced to handbuilding skills with a focus on coiling in order to make a small group of objects which will be smoke fired. On Saturday 8 June you will have the option to learn different decorating and masking techniques to use when smoke firing these objects. Artist/maker who uses clay for her sculptural and installation work. Graduated with an MA in Ceramics and Glass from the Royal College of Art, London in 2013. Exhibited widely both nationally and internationally, with Solo shows in London and Stockholm. Create your own smoke fired ceramics on this new course. Over four sessions you will be introduced to hand-building skills with a focus on coiling in order to make a small group of objects which will be bisque fired. On Saturday 8 June you will have the option to learn different decorating and masking techniques when smoke firing these objects.